One of the largest town churches in the country. 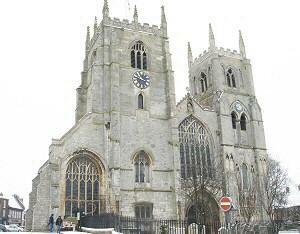 Founded in 1101 and partially rebuilt in 1741 after the spire collapsed onto the nave in the storm. Look out for the flood level markings by the west door. Open daily.